TLJ News: June 6-10, 2012. 6/8. The Office of Management and Budget (OMB) released a memorandum [PDF] titled "Science and Technology Priorities for the FY 2014 Budget". This memorandum instructs the heads of executive departments and agencies to focus their research activities on areas listed in this memorandum. It lists the Obama administration's interest in manufacturing technology, clean energy technology, global climate research, nanotechnology, STEM education, and biotech. It also lists two information technology research fields -- big data and cyber security. It states that "Within the interagency Networking and Information Technology Research and Development initiative, agencies should give priority to investments that address the challenges of, and tap the opportunities afforded by, the Big Data revolution -- the fast-growing volume of large and complex collections of digital data to advance agency missions and further scientific discovery and innovation." It also states that "Within the initiative, agencies should give priority to investment in data analytics and management and to fundamental research in computer science and engineering above funding for the development and procurement of large-scale high performance computing systems." See, Networking and Information Technology Research and Development's (NITRD) Big Data web page. The memorandum adds that "Agencies should also give priority to research guided by the Trustworthy Cyberspace: Strategic Plan for Cybersecurity R&D Programs to develop technologies that can protect our systems against current and future cyber-attacks." See, the paper titled "Trustworthy Cyberspace: Strategic Plan for Cybersecurity Research and Development Program", released by the Executive Office of the President's (EOP) Office of Science and Technology Policy (OSTP) in December of 2011. 6/8. Steve Coll, President of the New America Foundation (NAF), wrote a short piece titled "The Rewards and Risks of Cyberwarfare". He wrote that the US cyber attack on Iran's nuclear weapons development program "will invite imitation and retaliation in kind, and it has established new and disturbing norms for state aggression on the Internet and in its side-channels. American and Israeli official action now stands available as a justification for others." He added that "in the future, ... the ability to conduct cyber attacks will be very broadly distributed -- not just among governments, but among individuals, corporations, and terrorists." In addition, Fred Kaplan, a Senior Fellow at the NAF, wrote a short piece titled "Why the United States Can't Win a Cyberwar". Kaplan argued that "Because our social and economic structures are far more dependent on computer networks than those in any other country, a major cyberattack would do far more damage to us. Therefore, the situation in the cyber domain is more like this: We hurt you; you cripple us. That being the case, an offensive cyber strategy amounts to a suicidal trap." He continued that in the case that "China puts a move on Taiwan or the South China Sea -- and threatens to trigger a power blackout in every American city if we interfere", than threatening to "retaliate in kind ... would have little effect". 6/8. Rama Elluru, John Evans, Larry Hume, Ulrike Jenks, Hyun Jung, Brett Martin, John Martin, Brian McNamara, Annette Reimers, Sheridan Snedden, and Michael Strauss took the oath of office as administrative patent judges on the U.S. Patent and Trademark Office's (USPTO) Board of Patent Appeals and Interferences (BPAI). See, USPTO release. 6/8. The Federal Communications Commission (FCC) published a notice in the Federal Register (FR) that sets deadlines to submit oppositions, comments and replies to the American Cable Association's (ACA) Petition for Reconsideration of the FCC's Fifth Report and Order [130 pages in PDF] regarding the Emergency Alert System (EAS). This order continues the FCC's process of revising its EAS rules to specify the manner in which EAS participants must be able to receive alert messages formatted in the Common Alerting Protocol (CAP). The FCC adopted this item on January 9, 2012, and released the text on January 12, 2012. It is FCC 12-7 in EB Docket No. 04-296. The ACA asked in its on April 23, 2012, petition for a streamlined waiver process for small cable systems serving fewer than 501 subscribers that lack physical connectivity to broadband Internet access. See, FR, Vol. 77, No. 111, Friday, June 8, 2012, at Pages 33995-33997. See also, the ACA's April 23 release and the FCC's May 25, 2012, Public Notice (DA 12-834). The deadline to submit oppositions and comments is June 25. The deadline to submit replies is July 3. 6/7. Sen. Dianne Feinstein (D-CA) introduced S 3276 [LOC | WW], misleadingly titled the "FAA Sunsets Extension Act of 2012". This bill has nothing to do with the Federal Aviation Administration (FAA). Rather it would extend for five years a key surveillance section of the Foreign Intelligence Surveillance Act of 1978 (FISA), enacted in 2008, that is set to expire on December 31, 2012. Sen. Feinstein's bill would extend for five years government authority to conduct surveillance related to persons outside the US, without individualized court approval. Surveillance of persons "outside of the United States" is a term of art that also enables surveillance of persons inside of the US who fall within the protection of the 4th Amendment. This bill was referred to the Senate Intelligence Committee (SIC), which secretly approved the yet to be introduced bill, in a closed May 22 meeting, tunc pro nunc. 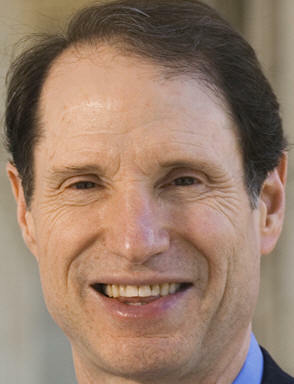 The full Senate might have also promptly passed the bill, without debate, but for a hold being placed on the bill by Sen. Ron Wyden (D-OR), who also opposed the bill in the SIC on May 22. The House has also been begun consideration of sunset extension legislation, but in a more orderly and open process. The House passed HR 6304 [LOC | WW], the "Foreign Intelligence Surveillance Act of 1978 Amendments Act of 2008", on June 20, 2008. The Senate passed it on July 9, 2008. Former President Bush signed it on July 10, 2008. It is now Public Law No. 110-261. See, stories titled "House Approves FISA Reform Bill" and "Attorney General and DNI Praise FISA Reform Bill" in TLJ Daily E-Mail Alert No. 1,783, June 19, 2008, and "House and Senate Leaders Release Draft FISA Reform Bill" in TLJ Daily E-Mail Alert No. 1,782, June 18, 2008. The 2008 Act is huge. Section 403(b)(1) of the 2008 Act provides that "Except as provided in section 404, effective December 31, 2012, title VII of the Foreign Intelligence Surveillance Act of 1978, as amended by section 101(a), is repealed." That is, the relevant language sunsets at the end of 2012. The just introduced bill would replace "December 31, 2012" with "June 1, 2017". That is, it extends the sunset for about five years. The 2008 Act, at Section 101, completely replaced Title VII of the 1978 Act. It allows federal surveillance, without court approval, under the FISA, of people believed to be outside of the US. More specifically, it pertains to "the targeting of persons reasonably believed to be located outside the United States to acquire foreign intelligence information". Foreigners located outside the US are not protected by the 4th Amendment. The US government can wiretap them at will without court approval. However, the 2008 Act authorizes surveillance that also results in the interception of communications of persons who are protected by the 4th Amendment. As Sen. Wyden (at right) and Sen. Mark Udall (D-CO) wrote in their dissenting statement in the SIC report, this provision creates "a loophole in the law that could allow the government to effectively conduct warrantless searches for Americans' communications". They elaborated that "We have concluded, however, that section 702 currently contains a loophole that could be used to circumvent traditional warrant protections and search for the communications of a potentially large number of American citizens. We have sought repeatedly to gain an understanding of how many Americans have had their phone calls or emails collected and reviewed under this statute, but we have not been able to obtain even a rough estimate of this number." They elaborated that "The Office of the Director of National Intelligence told the two of us in July 2011 that `it is not reasonably possible to identify the number of people located in the United States whose communications may have been reviewed' under the FISA Amendments Act. We are prepared to accept that it might be difficult to come up with an exact count of this number, but it is hard for us to believe that it is impossible to even estimate it." It should be noted that the provision in the 2008 Act that is up for extension does require a court order. However, it allows broad generalized orders. It allows orders that cover entire surveillance program, without identification or description of any person, phone, or email account. 6/7. Federal Reserve Board (FRB) Chairman Ben Bernanke testified before the Congress's Joint Economic Committee (JEC) on June 7. He wrote in his prepared testimony that "Real gross domestic product (GDP) rose at an annual rate of about 2 percent in the first quarter after increasing at a 3 percent pace in the fourth quarter of 2011". Bernanke (at right) said that "To the fullest extent possible, federal tax and spending policies should increase incentives to ... promote research and development ...". The research and development (R&D) tax credit expired on December 31, 2011. The Congress has repeatedly enacted short term extensions of this credit. It was last extended at the end of 2010. See, story titled "Tax Bill Enacted With R&D Tax Credit Extension" in TLJ Daily E-Mail Alert No. 2,182, December 18, 2010. On Friday, June 8, the House Ways and Means Committee's (HWMC) Subcommittee on Select Revenue Measures will hold a hearing on expiring tax provisions, including the R&D tax credit. This credit, which is codified at 21 U.S.C. § 41, is also in need of modernization in order to incent newer companies, including tech companies, to conduct more R&D. Bernanke also stated that "Economic growth appears poised to continue at a moderate pace over coming quarters". He also noted that "the demand for U.S. exports has held up well. The U.S. business sector is profitable and has become more competitive in international markets." 6/7. President Obama nominated Mignon Clyburn to be a member of the Federal Communications Commission (FCC). See, White House news office release and release. This is a reappointment. President Obama first appointed Clyburn (at right) in 2009. See, story titled "Obama Announces Mignon Clyburn for FCC Commissioner" in TLJ Daily E-Mail Alert No. 1,933, April 29, 2009. This is for a term of five years from July 1, 2012. FCC Chairman Julius Genachowski praised the decision, and stated in a release that she has "focused on helping all Americans harness the benefits of broadband". Commissioner Robert McDowell praised her in a release. Commissioner Jessica Rosenworcel praised her in a release. Commissioner Pai praised her in a release. Michael Powell, a former FCC Chairman, and now head of the National Cable and Telecommunications Association (NCTA), stated in a release that "We congratulate Commissioner Clyburn for her well-deserved renomination to a second term at the FCC. Commissioner Clyburn is a passionate advocate for empowering all consumers through technology and we look forward to continuing working with her and the entire Commission to ensure that all Americans enjoy the transformative benefits of broadband and other communications services." 6/7. The Federal Trade Commission (FTC) announced that it brought and simultaneously settled two administrative actions against companies at which consumer data was inadvertently compromised. Both cases involved the use of peer to peer (P2P) software by employees on computers that were part of networks that contained personal information (PI). Rep. Henry Waxman (D-CA) urged the FTC to take action of this nature as early as 2007. See, related story in this issue titled "Commentary: the Movie Industry and the FTC". Both FTC cases, against a car dealership (Franklin Budget Car Sales, Inc.) and a debt collector (EPN, Inc.), are signed settlements, in which FTC staff prepared complaints and settlement agreements. Franklin signed on February 21, and EPN signed on March 5. The five member Commission voted to approve both actions at undisclosed times. FTC staff released these documents, and a release, on June 7. See, administrative Complaint against Franklin, and Settlement Containing Consent Order. See also, administrative Complaint against EPN, and Settlement Containing Consent Order. These pleadings contain little information about the actual conduct that prompted the FTC to bring these actions. In the Franklin case, the complaint states that "customers' personal information was accessed and disclosed on peer-to-peer (``P2P´´) networks by a P2P application installed on a computer that was connected to respondent's computer network". As a result, "Information for approximately 95,000 consumers, including, but not limited to, names, Social Security numbers, addresses, dates of birth, and drivers' license numbers ... was made available on a P2P network". In the EPN case, the complaint states that "EPN's chief operating officer was able to install a P2P application on her desktop computer, which was connected to EPN's computer network". As a result, "two files containing personal information about the client’s debtors were available on a P2P network". These two files contained "contained personal information about approximately 3,800 consumers, including each consumer’s name, address, date of birth, Social Security number, employer name, employer address, health insurance number, and a diagnosis code". Neither complaint discloses the P2P software involved. The Franklin complaint is silent regarding when the violations took place. The EPN complaint discloses that EPN "disabled" the P2P program at issue in April of 2008. Neither settlement involves fines or penalties. Both impose requirements that Franklin and EPN modify their business practices to better protect the privacy and security of PI. Neither case provides clear guidance to companies regarding if, or when, and under what circumstances they might allow P2P software to be installed on company computers. In both actions, the FTC proceeded under Section 5 of the FTC Act. Section 5, which is codified at 15 U.S.C. § 45, provides that "Unfair methods of competition in or affecting commerce, and unfair or deceptive acts or practices in or affecting commerce, are hereby declared unlawful." The complaints and settlements show that the FTC proceeded under Section 5 because both businesses had adopted and released privacy policies, and then violated those policies. The FTC proceeded against both businesses under the "deceptive" prong of Section 5. These actions shed no light upon the FTC's view as to whether or not it could proceed under the "unfair" prong if the businesses had no privacy policies, and then allowed uninformed and unsupervised use of P2P networks by employees. For more on the subject of FTC reliance upon the unfair prong to regulate privacy, see story titled "Commentary: Unfair v. Deceptive Conduct", and related stories, in TLJ Daily E-Mail Alert No. 2,357, March 26, 2012. In addition, since the car dealership made loans, it fell within the Gramm Leach Bliley Act's definition of "financial institution". The GLB Act regulates the privacy related practices of financial institutions. The FTC has promulgated, under the GLB Act, both Safeguard Rules, and Privacy Rules. Hence, the FTC proceeded against Franklin under the additional theories that it violated both the Safeguard Rules and Privacy Rules. Both the Safeguard Rules and Privacy Rules are written in broad language that address safeguards, monitoring, testing, investigations, and programs. They do not address the use of P2P software. The complaints allege, and the agreement confirm, that violations occurred in the Franklin and EPN cases. However, these documents do not provide much guidance to businesses going forward. The actions do alert businesses that installation of P2P software on any computers used by businesses might subject them to enforcement action by the FTC. This uncertainty may contribute to a chilling effect upon the use of P2P software on computers used in connection with interstate commerce. 6/7. The movie industry has a history of hostility to P2P software. It is a means by which copyrighted movies are widely infringed, thereby causing substantial financial losses to movie companies and people who work in the movie industry. The FTC's just announced cases may have the effect of decreasing the use of P2P software, and thereby benefit the movie industry. Rep. Henry Waxman (D-CA) represents a district that includes West Hollywood and Beverly Hills. His district is home to many people who work in the movie industry. Moreover, he has asked the FTC to take the type of action that it just did in the Franklin and EPN cases. For example, Rep. Waxman sent a letter to the FTC on October 17, 2007, in which he urged the FTC to "investigate promptly recent disclosures regarding inadvertent file sharing over peer-to-peer (P2P) networks and to take steps to ensure that potential risks posed by P2P networks are incorporated into the Commission's ongoing efforts to combat identity theft." See, story titled "Representatives Write FTC Regarding Inadvertent P2P File Sharing" in TLJ Daily E-Mail Alert No. 1,658, October 19, 2007. It may also be pertinent that the Chairman of the FTC is Jonathan Leibowitz. Prior to his appointment at the FTC, he was a Washington lobbyist employed by the Motion Picture Association of America (MPAA). See, story titled "Jonathan Leibowitz" in TLJ Daily E-Mail Alert No. 1,903, February 24, 2009. Also, the FTC, prior to Leibowitz's tenure, took no action on the complaint submitted to the FTC on August 1, 2007 by Matt Schruers of the Computer and Communications Industry Association (CCIA). He argued that Major League Baseball, National Football League, NBC/Universal, and others violated Section 5 of the FTC Act in connection with their alleged use of deceptive and threatening copyright notices. The FTC sent the CCIA a letter [6 pages in PDF] on December 6, 2007, stating that "the FTC staff has determined not to recommend that the Commission take any formal action against the companies". See, story titled "CCIA Comments on FTC Letter Regarding Copyright Notices Complaint" in TLJ Daily E-Mail Alert No. 1,723, February 26, 2008. 6/7. The Senate Judiciary Committee (SJC) held an executive business meeting at which it approved the nominations of Robert Bacharach (to be a Judge of the U.S. Court of Appeals for the 10th Circuit), Paul Grimm (U.S. District Court for the District of Maryland), John Dowdell (USDC/NDOkla), and Mark Walker (USDC/NDFl). The SJC held over consideration of the nomination of Brian Davis (USDC/MDFl). His nomination is again on the agenda for the SJC's executive business meeting of June 14. 6/6. The House Judiciary Committee (HJC) amended and approved HR 4377 [LOC | WW], the "Responsibly And Professionally Invigorating Development Act of 2012", or "RAPID Act". The HJC approved an amendment in the nature of a substitute (AINS) [31 pages in PDF] offered by Rep. Dennis Ross (R-FL). The vote on passage was 14-8. It was straight party line vote. All of the yes votes were cast by Republicans. All of the no votes were cast by Democrats. The HJC rejected five amendments to the AINS offered by Democrats. See, amendment [1 page in PDF] offered by Rep. Hank Johnson (D-GA), amendment [1 page in PDF] offered by Rep. John Conyers (D-MI), amendment [1 page in PDF] offered by Rep. Jerrold Nadler (D-NY), amendment [1 page in PDF] offered by Rep. Sheila Lee (D-TX), and amendment [15 pages in PDF] offered by Rep. Steve Cohen (D-TN). Each amendment failed on a straight party line vote. The lack of support from HJC Democrats does not bode well for the bill in the Senate, which has a Democratic majority. Four California Democrats did not participate in any of the roll call votes: Rep. Howard Berman (D-CA), Rep. Zoe Lofren (D-CA), Rep. Judy Chu (D-CA), and Rep. Maxine Waters (D-CA). Rep. Lamar Smith (R-TX), the Chairman of the HJC and a cosponsor of the bill, wrote in his opening statement that "The federal regulatory process remains an obstacle to job creation and business expansion. For example, our outdated and overly burdensome environmental review process keeps jobs and workers waiting for approval from government agencies in Washington. Employers and investors can't move forward without the necessary permits, and without confidence in the process." He said that this bill would make the "federal environmental review and permit process more efficient and transparent". This bill is primarily directed at the National Environmental Policy Act (NEPA), which was enacted in 1969, and which is now codified at 42 U.S.C. § 4321, et seq. However, the RAPID Act would also impact information and communications technology (ICT) in several ways. For example, it would streamline the permitting processes for the extraction of rare earth minerals, which are used in a wide range of ICT devices and equipment, including fiber optic cable, disk drives, satellites, and smart phones. Molycorp Minerals, which operates the Mountain Pass facility in California, is planning to resume extraction of rare earths. Molycorp announced in an April 9 release that there are "18.4 million short tons of rare earth ore" at Mountain Pass. Also, the NEPA requires all federal agencies, including the Federal Communications Commission (FCC), to identify and take into account environmental effects, such as the impact on migratory birds, when deciding whether to authorize or undertake a major federal action, such as the licensing of communications towers. For a more detailed discussion of the impact of the RAPID Act on ICT, see story titled "House Judiciary Committee to Mark Up RAPID Act" in TLJ Daily E-Mail Alert No. 2,388, June 1, 2012. 6/6. A group of former senior defense, national security, and intelligence officials (Michael Chertoff, Michael Hayden, Mike McConnell, Paul Wolfowitz, James Cartwright and William Lynn) sent a letter to Senate leaders Sen. Harry Reid (D-NV) and Sen. Mitch McConnell (R-KY) urging them to "bring cyber security legislation to the floor as soon as possible". These former officials wrote that "Various drafts of legislation have attempted to address this important area -- the Lieberman/Collins bill having received the most traction recently. We will not advocate one approach over another -- however, we do feel strongly that critical infrastructure protection needs to be addressed in any cyber security legislation." The continued that "Where market forces and existing regulations have failed to drive appropriate security, we believe that our government must do what it can to ensure the protection of our critical infrastructure. Performance standards in some cases will be necessary -- these standards should be technology neutral, and risk and outcome based. We do not believe that this requires the imposition of detailed security regimes in every instance, but some standards must be minimally required or promoted through the offer of positive incentives such as liability protection and availability of clearances." Moreover, they wrote that "Any legislation passed by Congress should allow the public and private sectors to harness the capabilities of the NSA to protect our critical infrastructure from malicious users." Michael Chertoff (at left) is a former Secretary of Homeland Security. He is now of counsel to the law firm of Covington & Burling, and head of the Chertoff Group, a security consulting firm. Mike McConnell is a former US Navy officer, former Director of the NSA and former Director of National Intelligence (the last two years of the Bush administration). He now works at Booz Allen Hamilton. Paul Wolfowitz is a former Deputy Secretary of Defense. 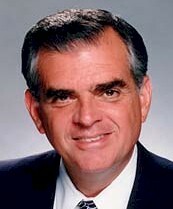 He is now a scholar at the American Enterprise Institute (AEI), and Chairman of the US Taiwan Business Council. Michael Hayden (at right) is a former US Air Force officer, former Director of the NSA, former Director of the CIA, and former Principal Deputy Director of National Intelligence. He now works at the Chertoff Group. James Cartwright is a former US Marines officer, and former Vice Chairman of the Joint Chiefs of Staff (2007-2011). William Lynn was Deputy Secretary of Defense (2009-2011) and a senior DOD official in the Clinton administration. McConnell, Chertoff and Lynn wrote a piece titled "Chinese Cyber Espionage: How to Combat the Growing Threat" that was published in the Wall Street Journal on January 27, 2012. There are numerous cyber security related bills pending in the House and Senate. However, few have been passed by the House of Senate. The House passed HR 3523 [LOC | WW], the "Cyber Intelligence Sharing and Protection Act of 2011" or "CISPA", a bill that would incent cyber threat information sharing, on April 26, 2012. See, stories titled "House Passes CISPA" and "Amendment by Amendment Summary of House Consideration of CISPA" in TLJ Daily E-Mail Alert No. 2,380, April 25, 2012. The House passed HR 2096 [LOC | WW], the "Cybersecurity Enhancement Act of 2012", on April 27, 2012. This bills pertains to cyber security research and development, and education, and federal cyber security standards. See, story titled "House Passes Cybersecurity Enhancement Act" in TLJ Daily E-Mail Alert No. 2,281, April 30, 2012. The House passed HR 3834 [LOC | WW], the "Advancing America's Networking and Information Technology Research and Development Act of 2012", also known as "NITRD". See, story titled "House Passes NITRD Bill" in TLJ Daily E-Mail Alert No. 2,281, April 30, 2012. 6/6. The Federal Communications Commission (FCC) released an agenda for its event on Wednesday, June 13, 2012, titled "Open Meeting". First, the FCC is scheduled to adopt an Order that would modify its equipment authorization rules to increase the supply of grantee codes assigned to parties applying for equipment certification. Second, the FCC is scheduled to adopt a Fourth Report and Order and Fifth Further Notice of Proposed Rulemaking regarding use of spectrum in the 4940-4990 MHz band. This event is scheduled for 10:30 AM at the FCC's main building located at 445 12th St., SW. This event will be held in the Commission Meeting Room, Room TW-C305. The FCC will webcast this event. 6/6. The Senate is scheduled on Wednesday, June 6, to resume consideration of the motion to proceed to S 3240 [LOC | WW]. This is a huge bill pertaining to agriculture. It also includes provisions related to rural telecommunications, broadband and telemedicine. Section 6102 of the bill would amend Section 313A(f) of the Rural Electrification Act of 1936 (REA), which is codified at 7 U.S.C. § 940c-1(f). It authorizes the Department of Agriculture (DOA) to make loan guarantees for telephone purposes. It is set to expire on September 30 of this year. This bill would to extend this program through 2017. Section 6103 of the bill would amend Section 315(d) of the REA, which is codified at 7 U.S.C. § 940e(d). It authorizes the DOA to make loans "for facilities and equipment to expand or improve in rural areas ... 911 access ... integrated interoperable emergency communications ... homeland security communications ... transportation safety communications ... or ... location technologies ...". It is set to expire this year. This bill would extend this program through 2017. Section 6104 of the bill would make numerous changes to Section 601 of the REA, which is codified at 7 U.S.C. § 950bb. It pertains to rural broadband loans and grants. This section states that its purpose "is to provide loans and loan guarantees to provide funds for the costs of the construction, improvement, and acquisition of facilities and equipment for broadband service in rural areas." This section authorizes the appropriation of $25 Million per year through 2012. This bill would extend this authorization through 2017. This bill also provides that "In making grants or guaranteeing loans ... the Secretary shall give the highest priority to applicants that offer to provide broadband service to the greatest proportion of households that, prior to the provision of the broadband service, had no incumbent service provider." Section 6201 of the bill would amend 7 U.S.C. § 950aaa-5, which authorizes the appropriation of $100 Million per year for telemedicine and distance learning in rural areas. Current authority expires this year. This bill would extend this program through 2017. 6/6. Members of Congress condemned the release to news media of confidential national security information regarding the use of cyber attacks on the nuclear weapons development programs of Iran. For example, the Chairmen and ranking members of the Senate Intelligence Committee (SIC) and House Intelligence Committee (HIC) issued a joint statement condemning the leaks. They wrote that "we have become increasingly concerned at the continued leaks regarding sensitive intelligence programs and activities, including specific details of sources and methods. The accelerating pace of such disclosures, the sensitivity of the matters in question, and the harm caused to our national security interests is alarming and unacceptable." They also wrote that the SIC and HIC "each intend to review potential legislation to strengthen authorities and procedures with respect to access to classified information and disclosure of it, as well as to ensure that criminal and administrative measures are taken each time sensitive information is improperly disclosed." They added that "We plan to move legislation quickly, to include possible action in this year's intelligence authorization act." The New York Times published a story by David Sanger on June 1, 2012, titled "Obama Order Sped Up Wave of Cyberattacks Against Iran". That article stated that President Obama "ordered increasingly sophisticated attacks on the computer systems that run Iran’s main nuclear enrichment facilities, significantly expanding America's first sustained use of cyberweapons, according to participants in the program." That article added that an "element of the program", known as Stuxnet, "accidentally became public in the summer of 2010 because of a programming error that allowed it to escape Iran's Natanz plant and sent it around the world on the Internet". That article reported on the content of debate regarding the program in the White House involving President Obama, Vice President Biden, then CIA Director Leon Panetta, and others. For more on the Stuxnet, see story titled "Senate Committee Holds Hearing on Cyber Warfare" in TLJ Daily E-Mail Alert No. 2,158, November 17, 2012. 6/6. The Senate confirmed Jeffrey Helmick to be a Judge of the U.S. District Court for the Northern District of Ohio, by a vote of 62-36. See, Roll Call No. 116. See also, Congressional Record, June 6, 2012, at Page S3801. 6/6. The Federal Trade Commission (FTC) published a notice in the Federal Register (FR) that announces the members of it Performance Review Board: Eileen Harrington, Willard Tom, Pauline Ippolito, Richard Feinstein, and Mary Engle. See, FR, Vol. 77, No. 109, Wednesday, June 6, 2012, at Page 33460. Go to News from June 1-5, 2012.